Last year I spoke to 130 financial planners in India. It was an experience I won’t soon forget. While there were many surprising similarities to planning for consumers in India and the US, I found one striking and sobering dissimilarity: the inequality of Indian women when it comes to making financial decisions. India is moving towards social transformation and the importance of equality for women is rising. There is an urgent need to educate women, especially the younger generation that is about to enter the working environment. We all know the famous adage if we empower a woman, the whole village is empowered. When more women have more financial education, it will literally lead to a more successful future for all people of India. 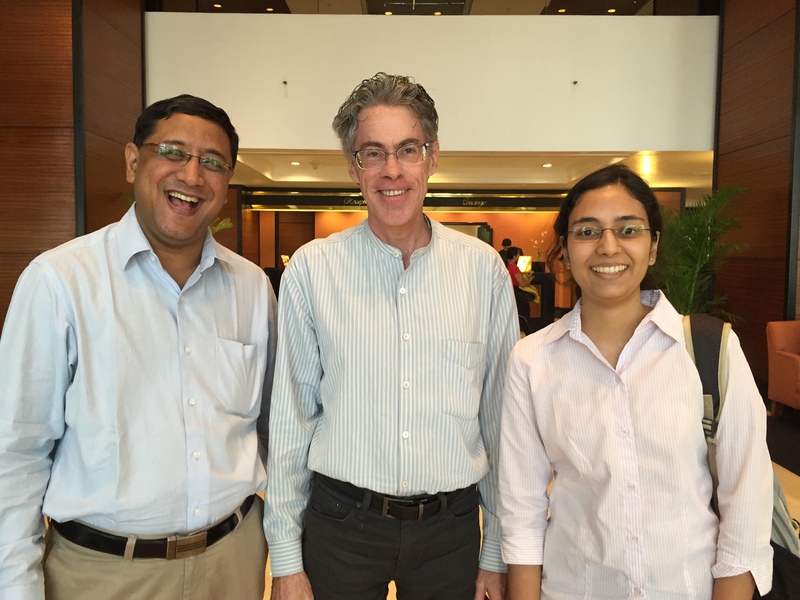 My friend, financial planner Partha Iyengar, CFP (pictured above), his wife Prajakta Shidhore, and his associate Heeshma Chhatralia (pictured above), are on a mission to empower Indian women to make sound financial decisions. Partha’s vision is to expand his Life & Money workshops, which he’s done in urban Mumbai for over 1000 middle income consumers, to reach thousands of impoverished women across semi-rural and rural districts in India. Partha and Heeshma are asking for funding to initially conduct workshops in various women’s colleges in Kanchipuram (a semi-rural district in India) with a goal of reaching 1000 women in with financial freedom. They are using a crowdfunding campaign on Indegogo.com to raise funds for this initiative. The cost of reaching each woman is just $6. I personally know Partha. He did not request that I send this out to my network, nor does he have any idea I am doing this. I know his heart, his passion, and his integrity. I would trust him with my life. You can rest assured that 100% of the money given to this project will go to educating these young women. I know of no non-profit that can boast similarly. If this project speaks to you, I would encourage you to click here and give to this initiative to empower and educate young women in India.